Regardless of whether patients are young children, adolescents, or adults, the management and course of asthma most often takes place within the context of a family. 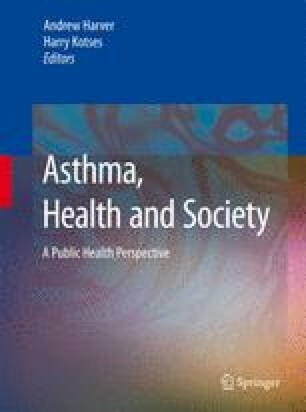 Parents of young children with asthma monitor and treat asthma symptoms, parents and older children negotiate management of asthma with one another, and spouses and/or caretakers of older adults with asthma can support or hinder efforts toward appropriate symptom management and trigger control. Family systems theory emphasizes how, for chronic illnesses, family members’ attitudes and behaviors regarding the illness do not exist in a static system, but mutually influence one another within and across contexts (Kazak 1989). For example, family dysfunction, including family conflict and parental mental health problems, is a risk factor for mental and physical health problems in children (Fiese et al. 2000). On the other side of the continuum, family strengths, such as family cohesion and competent parenting, may serve a protective function, enabling a child with asthma to demonstrate resilience (Koinis Mitchell et al. 2004).